There are many benefits of black tea in every single cup your drink. 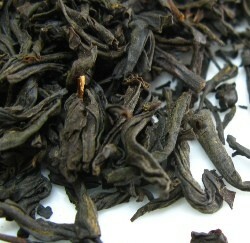 Black Tea is the most consumed type of tea in the West. This medicinal tea protects your heart by lowering LDL cholesterol and decreasing cardiovascular diseases. Do you want to discover the health benefits of this tea? Join us while we delight you with the wonderful world of black tea. Black tea, as you may know, comes from the tea plant Camellia Sinensis and it is produced mainly in India, Sri Lanka and China. This beverage gains its rich and strong colour after being processed. Processing tea is, in fact, an art that distinguishes teas from one another. 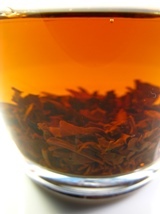 Black tea leaves undergo full oxidation and fermentation, which gives this tea a typical strong aroma and flavour. Let’s have a look at its processing, to better understand how the Benefits of Black Tea are immersed in these delicate leaves that get into your cup. After being picked, the leaves are dried on racks for more than 18 hours. Air is blown on them in order to remove their excess moisture. Afterwards, the leaves undergo two possible processing methods. They are crushed, torn, curled and processed by machines, if the producers are just aiming for lower quality teas. However, if the desired final product is a high quality tea, the processing is done by hand. The leaves are then fully oxidized, which in turn determines the tea quality. Next, they are dried to stop the fermentation process, which gives its distinctive flavour and dark colour. In the end, the leaves are divided into grades, according to their size and are then ready for packaging. Although black tea leaves are fully oxidized, their astonishing antioxidants will still benefit your mind and body and do wonders for you. Like green tea, the main benefits of black tea is its high content of flavonoids, which acts as a protection for your heart. Drinking black tea improves blood flow, thus preventing fatal blood clots. It reduces the risk of cardiovascular diseases by lowering the cholesterol and blood sugar levels, which will also aid you against diabetes. Another important factor, when it comes to your heart, is that black tea may reduce by 50% the risk of coronary artery disease. Amazing don’t you think? Here’s an important tip: if you add milk to your beverage, it will inhibit its vascular protective effects, so take a sip of your black tea and enjoy its purity and strength without adding extra things. If you've always drunk your tea with milk and are reluctant to change here's a trick that also also works nicely if you want to reduce the amount of sugar you put in your cup of tea. 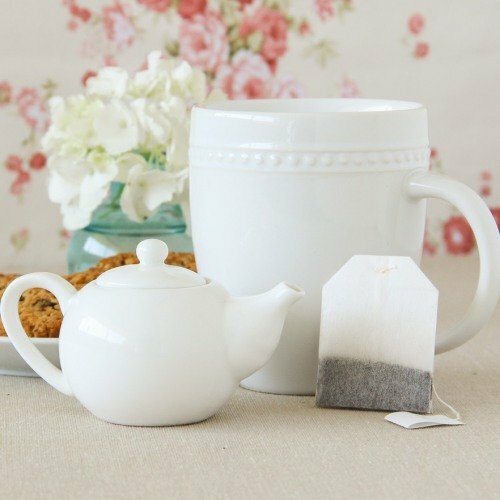 Start pouring a little less milk with each serving and get used to the taste of pure tea in time. You may have already heard about diet teas before, so keep in mind that black tea may also help you to lose weight. Antioxidants in black tea combined with caffeine will boost your metabolism, helping you to burn fat faster. Therefore, you can enjoy the benefits of drinking black tea, whether using tea bags, loose leaf black tea or black tea powder, and lose weight by doing some physical exercise as well. That’s not too hard, is it? Now, this does not mean that you should start drinking as much black tea as possible. Please read on and learn why caffeine is not something to be abused. Are you looking for a coffee alternative and still feel energetic in the morning? Well, look no further! Black tea has the highest content of caffeine, comparing to the other teas, due to the way it is processed and the leaves that are selected. However, you don’t need to worry. 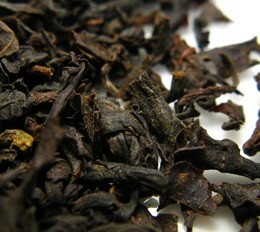 Black tea has less caffeine than coffee (about half), which will diminish dramatically if you brew it multiple times. So what can caffeine in black tea do for you? It may help your memory by enhancing your cognition and sense of alertness. Another of the benefits of black tea is that it will also shorten reaction time, improve your muscle action, while stimulating your heart and respiratory system. If you are studying or working till late and need your concentration and memory to be at their best, while feeling good and healthy, black tea is a good coffee alternative. Give it a try! Like Green tea, this strong and delicious tea may also help you fight cancer. The presence of flavonoids in black tea help stop cancer growth by scavenging free radicals, which are responsible for the onset of cancer and rheumatoid arthritis. A recent discovery found that TF-2, a compound in black tea, kills colorectal cancer cells and restrains the Cox-2, which produces inflammation. So keep drinking it and have the benefits of black tea act as cancer blocker that will protect your body. The benefits of black tea can also make their way to your skin and mouth. Like green tea, black tea may neutralize germs and inhibit the onset of viruses, which cause several ailments such as diarrhea, cystitis, skin infections, herpes, dental plaque, cavities or bad breath. So if you are eager to smile again, without worrying about those horrible viruses, black tea will be a tremendous help. Think of it as an alternative to coffee when eating out at a restaurant. Look at it as a tea tasting opportunity. If you suffer from asthma or other respiratory problems, drinking black tea would be a good choice for you. Due to its caffeine content, black tea improves airflow to the lungs. - Relieves gastric and intestinal problems. - Improves bone mineral density in older women. - Helps against Parkinson's disease. As you could see, there are several health benefits of black tea that will protect you and your loved ones from possible ailments. However, there are some side effects to black tea that you ought to know, so check out the section below and learn why you should moderate your black tea intake. Ready to taste some delicious black teas? There aren’t many studies related with the side effects of black tea, besides the ones centered on the effects of caffeine. Yes, caffeine, as you read, has powerful and positive effects on your health, when taken in moderate amounts. However, if you overdo it, the consequences are numerous. Let’s have a look at some of the negative effects caffeine may have on your body and mind. Caffeine is a stimulant of the central nervous system, so if you are hypersensitive to caffeine or take high doses of it, you may experience insomnia, skin rashes, anxiety, headache, irritability, blurred vision, dizziness and worsen incontinence (since it acts as a diuretic). It may also aggravate ulcer symptoms by increasing the production of stomach acid. If you are pregnant or breastfeeding, you have to be extra careful when drinking tea. You should reduce your caffeine intake, since caffeine has been associated with spontaneous abortions, intrauterine growth retardation, low birth weight and birth defects. When breastfeeding, infants may suffer from insomnia, tremors and heart palpitations. That is why we advise you to limit your black tea cups to one or two per day, depending on your physician suggestion as well. If you are being medicated you should also be aware that due to its caffeine content, there may occur some negative effects when drinking black tea. Be sure to consult your doctor if this is your cause. Now that you have looked over the world of black tea benefits, we want to show you how to brew this famous tea, in order to get the best out of it. We’re sure you want to set free its powerful antioxidants and enjoy the pleasure of its exquisite taste. It is important to brew your tea correctly, if you want to get the most out of the benefits of black tea as detailed above. First, make sure you use quality water. Avoid tap water as it may alter the taste of your beverage. If you only have tap water available, take a sip first to see if you like the taste. If you don't like the water as it is, tea made from it will not be any better. The water temperature is also very important. Brewing black tea requires a higher temperature, comparing to green and white tea. Bring the water to a roiling boil, around 91-95ºC and pour it over the tea leaves. Now let it steep for 3 to 5 minutes and stir. Allow your leaves to uncurl and swirl in your teacup. It is important they have enough space. 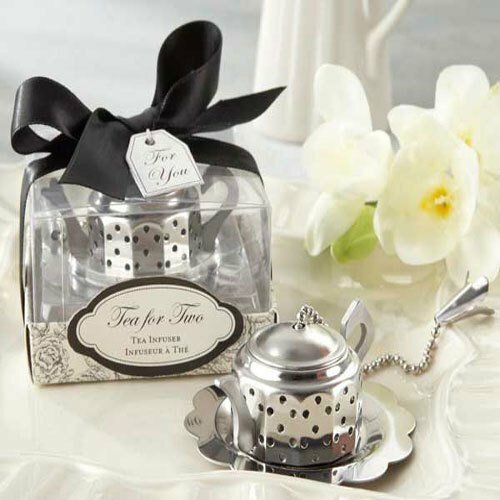 Enjoy this dance and inhale its alluring aroma as the leaves brew to perfection. 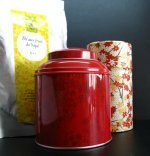 Preheat your teapot to maintain the flavour of the black tea and avoid over steeping it, since it can become bitter. Black teas go well with other things, so if you want to try new flavours, you can add lemon or milk to spicy it up. However, keep in mind that you should only do this after infusing, because it may hamper the flavour of the tea and also remember that milk does decrease the benefits of black tea. Buy Your Black Tea Today! Click on the image or on the link below to purchase from Art of Tea your Art of Black Tea Sampler. Today you don't have to choose which black tea to buy. With this sampler, you can purchase 4 different black teas. In stylish little tins, you will find: Assam tea, English Breakfast, Darjeeling and Passionfruit Jasmine. 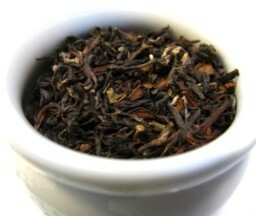 Buy your Black Tea sampler now! Now that you know all about the Benefits of Black Tea, make sure you try it and enjoy this wonderful nature’s beverage.